On the Laravel News site they've posted an announcement about the release of Laravel Nova, an administration dashboard created and maintained by Taylor Otwell and the Laravel project maintainers. The frontend is powered by Vue.js with the backend hooking into your current Laravel application (with a bit of extra functionality added). Information and functionality provided by Nova includes resource management tools, searching via SQL queries, custom action definition and metrics. You can find out more information about its features on the project site and sign up for the mailing list for more information when it launches in August 2018. Nova will cost $99 USD for a solo license and $!99 USD for a "site" license (business). Freek van der Herten has a recent post to his site sharing a project that was created by the team at Spatie to show real-time information on a large display there in the office. In his post he details how this system was created using Laravel for the backend and Vue.js for the frontend. At Spatie we have a tv screen against the wall that displays a dashboard. This dashboard displays the tasks our team should be working on, important events in the near future, which music is playing at our office, and so on. We’ve opensourced our dashboard, so you can view the entire source code on GitHub. It is built with Laravel 5.4 and Vue. He goes through some of the history behind the project and how it was designed to replace some initial efforts with Dashing. He covers the basic functionality of the system with a high level overview and what kind of information it's displaying. From there he gets into more of the technical details of the dashboard including the grid setup, server-side code, client side Vue.js functionality and packages involved. Freek Van der Herten has a post to his site showing you how to combine Vue.js and Laravel to make a dashboard, a simple way to display statistics and information in a "quick glance" format. At Spatie we have tv screen against the wall that displays a dashboard. This dashboard displays the tasks that our team should be working on, important events in the near future, which music is playing at our office, and so on. We’ve opensourced our dashboard, so you can view the entire source code on GitHub. It is built with Laravel and Vue. In this post I’d like to explain why and how we made it. He also talks about the security they added to the system (protecting the dashboard from outside eyes) and how they displayed it on a TV using a Raspberry Pi. In this recent post to her blog, Lorna Mitchell shows how to use the Jira REST API (provided as a part of some of the newer versions of the tool) to create a "dashboard" of the latest items added to the tracker. Today what you get is an example of integrating with JIRA's REST API, because their recent "upgrade" locked me out of the issue listings pages completely and I really do need to be able to see a list of bugs! Their bug editing screen is quite usable, so it's just the list that I need here, but you could easily call their other API methods as you need to. These examples are PHP and use the Joind.in Jira tracker), parsing the JSON results and displaying the results as a simple list, looping with a foreach and outputting some HTML. PHP_CodeCoverage is a library that provides collection, processing, and rendering functionality for PHP code coverage information. Its architecture has support for multiple backends for collecting code coverage information (currently only support for Xdebug is implemented) and for reporting code coverage information (for instance using Clover XML or as an HTML report). 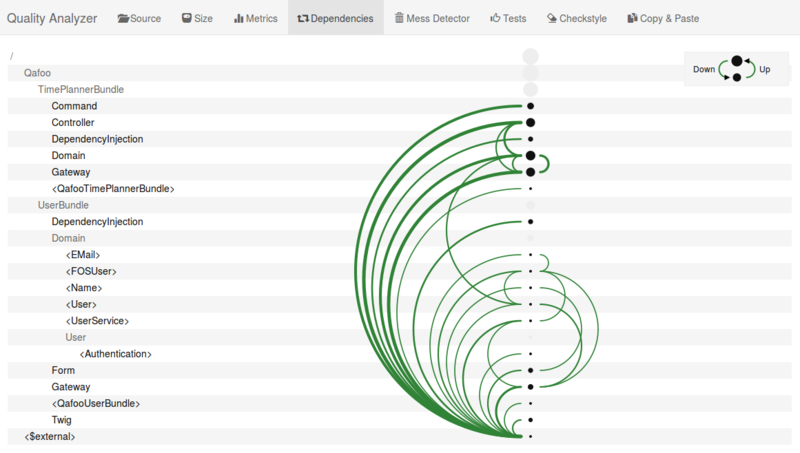 The dashboard shows the code's class coverage distribution, class complexity, top project risks and the least tested methods to help you narrow down potential issues in your application. Here's an example of the output. From the CatsWhoCode.com blog there's a new list of ten things you can do to help improve the performance and add extra functionality to your WordPress installation's dashboard. The dashboard is a very important part of a WordPress blog. In fact, it allows you to control your posts, your blog design, and many more things. When building a site for a client, it is especially important to be able to control WPâ€™s dashboard. In this article, let's have a look at 10 extremely useful hacks for WordPress' dashboard.